Adrian sul'Han, known as Ash, is a trained healer with a powerful gift of magic - and a thirst for revenge. Ash is forced into hiding after a series of murders throws the queendom into chaos. Now he's closer than ever to killing the man responsible, the cruel king of Arden. With time running out, Ash faces an excruciating choice: Can he use his powers not to save a life but to take it? 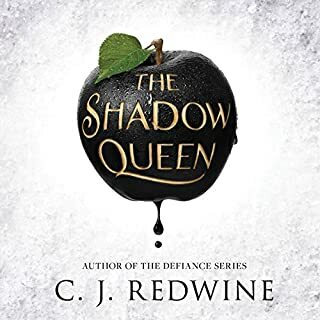 Lorelai Diederich, crown princess and fugitive at large, has one mission: kill the wicked queen who took both the Ravenspire throne and her father's life. To do that, Lorelai needs to use the one weapon she and Queen Irina have in common - magic. 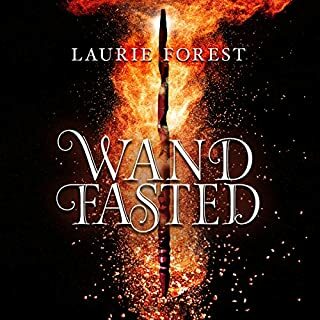 She'll have to be stronger, faster, and more powerful than Irina, the most dangerous sorceress Ravenspire has ever seen. Rowan is a Second Child in a world where population control measures make her an outlaw marked for death. 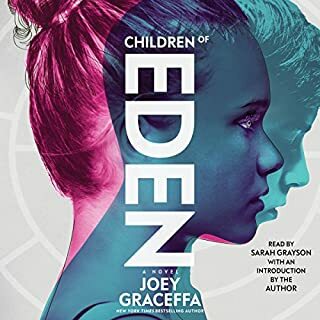 She can never go to school, make friends, or get the eye implants that will mark her as a true member of Eden. Her kaleidoscope eyes will give her away to the ruthless Center government. Eliyana is used to the shadows. With a birthmark covering half her face, she just hopes to graduate high school unscathed. That is until Joshua hops a fence and changes her perspective. No one, aside from her mother, has ever treated her like he does: normal. Maybe even beautiful. Because of Joshua, Eliyana finally begins to believe she could be loved. But one night her mother doesn't come home, and that's when everything gets weird. Now Joshua is her new and rather reluctant legal guardian. When Quentin Draith wakes up in a private sanatorium, he has no memory of who he is or how he received the injuries riddling his body. All he knows is that he has to get out, away from the drugs being pumped into him and back to the real world to search for answers. His first question: How did his friend Tony’s internal organs fill with sand, killing him in a Las Vegas car crash? After a narrow escape, he tracks down the basic facts: He is an investigator and blogger specializing in the supernatural - which is a good thing, because Quentin’s life is getting stranger by the minute. The Egg followed Kaden home from the hospital. This glowing shell only he can see transports him across the emptiness between universes to distant worlds, but he's afraid to use it. This strange Egg may have saved Kaden's life once, but it failed to save anyone else he cares about. Aren's sight reaches deep into the souls around her, seeing more than she wants in her friends and teachers at school. When she turns her gaze on Kaden, his Egg responds by sending them spiraling across space and time. The Hunger Games meets Cormac McCarthy's The Road in this richly imagined first novel in a new postapocalyptic trilogy by award-winning poet Francesca Haig. Four hundred years in the future, the Earth has turned primitive following a nuclear fire that laid waste to civilization and nature. Though the radiation fallout has ended, for some unknowable reason every person is born with a twin. Of each pair one is an Alpha - physically perfect in every way - and the other an Omega burdened with deformity, small or large. With the Council ruling an apartheid-like society, Omegas are branded and ostracized while the Alphas have gathered the world’s sparse resources for themselves. Though proclaiming their superiority, for all their effort Alphas cannot escape one harsh fact: Whenever one twin dies, so does the other. Cass is a rare Omega, one burdened with psychic foresight. While her twin, Zach, gains power on the Alpha Council, she dares to dream the most dangerous dream of all: equality. For daring to envision a world in which Alphas and Omegas live side by side as equals, both the Council and the Resistance have her in their sights. ©2015 De Tores Ltd (P)2015 Audible Inc. Rarely do I stop a book, but this one I can't finish. It's painful. The writer had a good concept but overwrites constantly with similes and metaphors. The character is not developed. You only meet the main character for a long time. It reminded me of a wanna-be Divergent or Hunger Games, but very little development of plot. The reader -- yawn -- fell asleep twice. Again - she read exactly like Hunger Games with very little change in pace or voice. To be fair - there were few direct quotes. It's mostly an author telling about a story rather than letting her characters speak. It's one of my worst reads, and I love this genre. I generally am pretty accepting of new ideas. Everyone has a twin. Your twin dies? You die. A+! I already have. I've listened to it twice, and would consider listening to it again! Well because it's a very interesting storyline, though while somewhat predictable (IMO), never caused me to lose interest. What was one of the most memorable moments of The Fire Sermon? One of the most memorable moments of The Fire Sermon, was discovering how you can determine the approximate age of the Omega Twin's split, based on the size of the branded mark on their forehead, as the brand is made for marking Omega Twins, while they're infants. I'd never heard of her until this. I've not listened to anything else of hers. I actually did not want to listen to this, in just one sitting. I often found myself wanting to just sit and think about all that I'd just heard and learned. You know... allow it proper time to marinate, prior to revisiting the story, again and again. 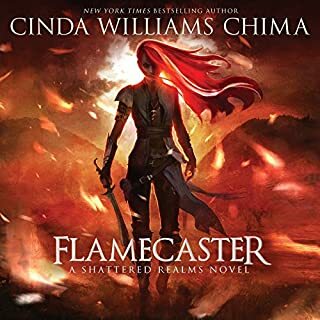 I believe the narrator did an excellent job, and I could hear her developing along with the characters, as the story progressed. I hope this same narrator will be used, for future installments. Similarly, I hope the future installments are released, soon. What to say about "The Fire Sermon"... It's a decent listen. 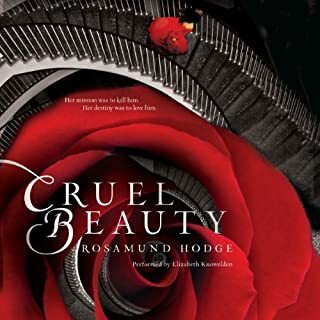 The narrator is good and brings across the right inflection to the female and male characters. 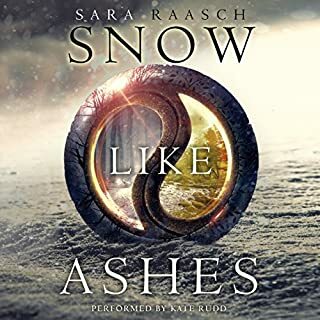 The thing about this book is that it's in the same sort of vein as Divergent and the other "run-of-the-mill" post apocalyptic types of stories. What stood for me the most was the beginning in how the protagonist describes how everyone is born with a twin and the sets of twins are separated at some point in their lives according to their traits (normal or mutant). This sounds so much like a part of Stephen King's book: Wolves of the Calla where sets of twins are also separated. The author, Francesca Haig, even writes how riders on horses come to take a twin away (much like what happens in Wolves of the Calla). It made me wonder if this is where Haig got the general idea for her story. In Haig's story, the twins are separated into Alphas and Omegas. The Alphas are the royalty and Omegas the peasantry. One interesting aspect is that the twins remained linked forever and if a twin dies, the other twins dies. If one feels pain, the other feels pain. The protagonist discovers that she has a power as a seer and for that she is imprisoned and tortured to try and "see" into the future. She escapes and meets up with another Omega twin and they take off together in search of a safe haven. Here's where you get into the "run-of-the-mill" type of story. The characters inexplicably are able to ride horses, despite never haven ridden before. They meet up with various groups who are either friend or foe or both. There wasn't much that stood out in the story as it's all been told before. It's the same tried and true story arc that so many of these types of novels go through. Of course, it ends in a manner that hints at a sequel (as most of these types of books do these days) but I didn't find it interesting enough to care if there is a sequel. Not the best. Not the worst. Just kind of mediocre. I had high hopes for this and liked the concept, but it never really panned out. At points it was like reading to Thoreau. Too much descriptive detail without much plot. 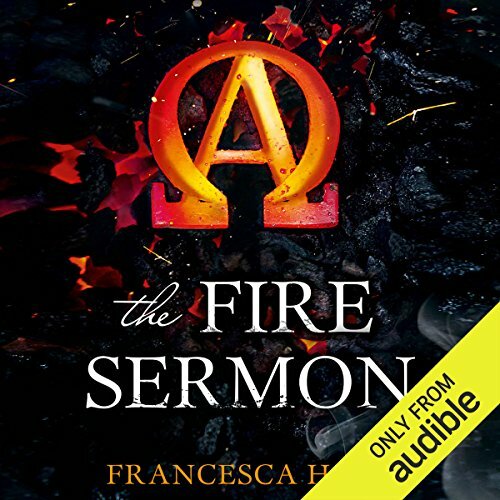 I enjoyed The Fire Sermon, enough to start digging around to find the second installment. No such luck at this time. What's keeping me from giving it four stars is the pacing of the book. At times, it felt like some scenes dragged on and on. The narrator was wonderful! I really was captivated by the story and the edge of your seat excitement that the author created. You could see the characters and understand the viewpoints! Very well done and the reader was brilliant!!! I'm looking forward to finishing the series. I'm totally hooked. If you liked Hunger Games and Divergent, you'll love this. The narrator is perfect and the way she changes her voice a bit for each character is not awkward or weird, but just right. Interesting idea keeps it fresh. Not quite HUNGER GAMES or DIVERGENT. Worth a listen. I will listen to vol. 2.